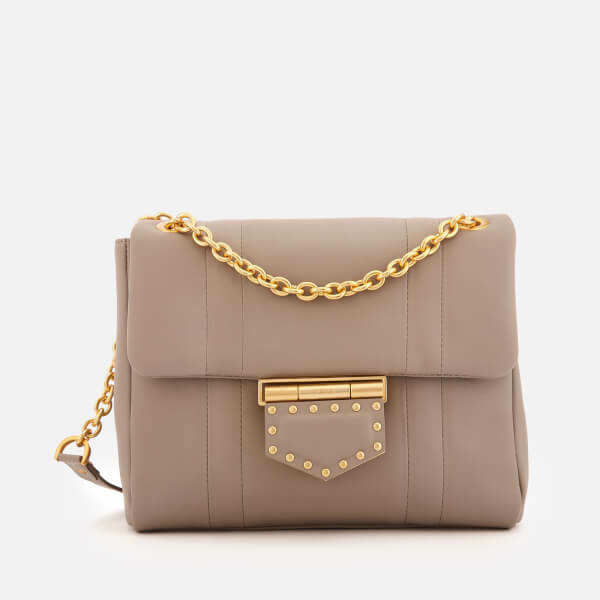 Greige ‘Meridiana’ shoulder bag from Italian accessories brand, Furla. Realised in smooth, supple leather, the sleek bag showcases a fold-down flap design secured with a stud-embellished letterbox closure. The top lifts to reveal a grosgrain textile-lined interior, which houses a large zip pocket, phone slip and open pocket within. An external rear slip pocket offers additional storage for essentials. 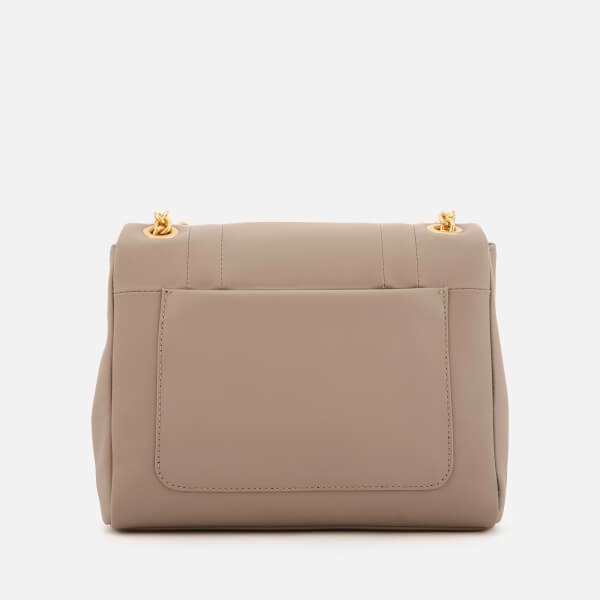 Suspended from a leather-trimmed chain-link convertible handle that can be extended for cross body wear, the bag is detailed with matte gold-tone hardware and Furla branding etched to the front clasp. Dimensions: H: 17cm x W: 23.5cm x D: 8cm. Handle Drop: 26cm – 45cm.